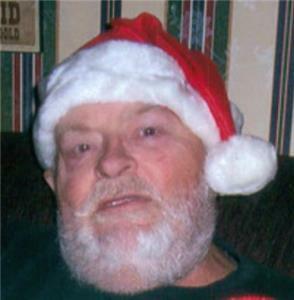 Clyde Kenneth Scroggins, 75, a resident of Cleveland, passed away Tuesday evening at the family residence. Mr. Scroggins was the son of the late Pearl Millsap Scroggins and Jim Scroggins. His daughter, Tina Marie Scroggins, his son, Bobby Eugene Scroggins, his sister, Reba Faye Scroggins, his brother, Roy Lee Scroggins and his sisters in law, Mrs. Polly Ann Scroggins and Debbie Ann Scroggins also preceded him in death. Mr. Scroggins was retired from Magic Chef with over 20 years of service. After his retirement, he worked with his brother at Scroggins Used Cars. He enjoyed working on cars and working in his junk yard, Clyde and Son. Mr. Scroggins was a member of the Charleston Church of God. Survivors include his wife of 54 years, Daisy B. Scroggins of Cleveland, his daughter, Tabitha Ann Reynolds of Cleveland, his son, Kenny Ray Scroggins and his wife Rachel of Ocoee, Tennessee, his grandchildren, Justin Mingie and his wife Jodi of Washington, D. C., Roy Reynolds of Ocoee, Cash Newberry of Cleveland, April Williams and her husband Michael of Benton, Andrew Guinn of Ocoee, his great grandchildren, Cole Reynolds of Ocoee, Rhett Williams of Benton, Mikalya Mingie and Kali Mingie both of Cleveland, his sisters, Brenda Sue Bynum and her husband Dale of South Carolina, Shirlene A. Ward of Cleveland, Charlene B. Sherlin and her husband Norman of Cleveland, his brothers, James Edward Scroggins and his wife Virginia Louise, Earl David Scroggins, Wallace Eugene Scroggins all of Cleveland, Gary Lynn Scroggins and his wife Debbie of North Carolina, Randall Franklin Scroggins of South Carolina and several nieces and nephews also survive. The Remembrance of Life Service will be conducted on Friday, Aug. 10, at 2 p.m. at the Jim Rush Funeral and Cremation Services Wildwood Chapel with Reverend Wallace Scroggins officiating. Interment will follow in the Samples Memorial Baptist Church Cemetery with Kenny Scroggins, Daniel Scroggins, Donnie Nichols, David Scroggins, Roy Reynolds, Tony Durbin and Joseph Matthew Scroggins serving as casket bearers. The family will receive friends from 5-8 p.m. on Thursday at the Jim Rush Funeral and Cremation Services Wildwood Chapel who has charge of the arrangements. You may share your condolences and your memories with the Scroggins family at www.jimrushfuneralhomes.com.